Stephen P. Obrochta, D.D.S., P.A. 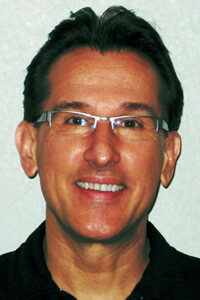 Dr. Obrochta is a specialist in the art and science of Cosmetic Dentistry. 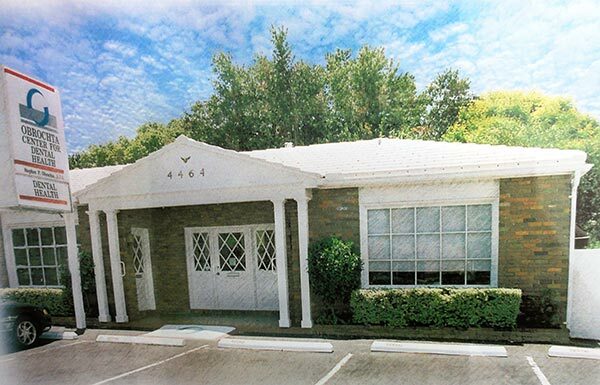 He currently belongs to the American Dental Association, the West Coast Dental Association, the Pinellas County Dental Association, and is a founding member in the prestigious American Academy of Cosmetic Dentistry. He is an active member in numerous study clubs featuring state of the art techniques and materials in delivering advanced cosmetic care. He is a native of Chicago, with honors status at both Loyola University and the University Of Illinois College Of Dentistry, where he received his Dental degree. He married his high school sweetheart Rita, and moved to Florida and has been serving the Tampa Bay community since 1981. He spends his free time chasing waves on his jet ski and has two sons Quinton and Connor. A lover of fine wine, cuisine, art and humor, he remains passionate about the study of preserving health, beauty and happiness. Cosmetic Dentistry is the art of creating beautiful smiles. It includes procedures such as Porcelain Veneers, Tooth-Colored Restorations, Non-Metal Crowns and Bridges, Implants, “Smile Lifts” (gum re-contouring), Enamel Shaping and Teeth Whitening. Who would be a good candidate for Cosmetic Dentistry? If you are unhappy with your present smile then you would definitely be a candidate for cosmetic dentistry. Problems such as crooked teeth, and discolored teeth due to staining are easily corrected and a more youthful, bright smile can be quickly attained and self-confidence restored. If you look at yourself in the mirror and your smile is not reflecting a bright, healthy smile, then you should consider addressing what is making you unhappy. Maybe you want to close a gap, or change the color, shape or size of your teeth. Almost any imperfection can be improved dramatically! Replacing old silver fillings with high esthetic tooth-colored restorations will take only a short appointment. Porcelain Veneers and Non-Metal Crown and Bridges can be customized in a matter of days, and Porcelain Crowns and Restorations can be fabricated right in our office using state of the art CAD/CAM technology. A simple whitening procedure can give you a brighter, whiter smile and can be accomplished in less than two hours! Will having Cosmetic Dentistry be expensive? Improving your appearance, rejuvenating your youth, and building your self-confidence will completely change your life. How much would you pay to have this? Having a perfect smile is priceless. Our goal is to provide the best quality of dentistry for our guests in the most pleasant environment both clinically and financially. An investment in your smile and self-esteem is priceless; you deserve to engage our office for affordable options. Care Credit®, offering interest-free payment options up to 12 months, or low interest rates for up to 5 years. Prepayment in full by cash or check (at least 2 weeks prior to your appointment), resulting in a 5% discount. Prepayment in full by major credit card (2 weeks prior to your appointment), resulting in a 2% discount.